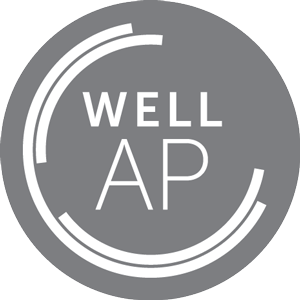 Our WELL AP Silver Pack provides students with a preview of the WELL AP examination experience. 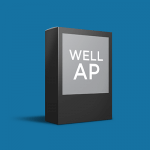 It is a functional replica of the WELL AP tests, and provides students with an opportunity to become familiar with green design principals, construction, and sustainable operations in an interactive software. The sample test software (aka Exam Simulator) allows candidates to answer test questions that represent all of the question types found on the WELL AP examination: recall, application, and analysis questions. Furthermore, the exam simulator provides feedback on why the answer selected is right or wrong and a breakdown of how ‘well’ you scored in each of the WELL Concepts (ie Air 90%, Water 65%, etc.). This is our most valuable (and #1 selling) WELL AP exam preparation tool. 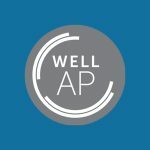 In addition to the exam simulator, our WELL AP Flash Cards give you a fast and easy way to learn the facts for your WELL AP exam. All 400 flash cards are available in online and printable PDF format and are instantly available once you complete your purchase. Self-Printing: Your order includes flash cards in PDF (an attachment through email). They are printed 6 to a sheet of paper, and an included help file tells you how to print/cut them yourself. Online: Your order includes access to the online version of these flash cards. No printing required, instant delivery, and no expiration date. Works with smart phones (iPhone, Android, etc) and tables (iPad, Surface, etc.). [testimonial_content] => "I would highly recommend obtaining exam preparation materials through GBES for anyone considering the WELL AP exam. The online practice tests were a fantastic resource for me, providing a bridge between the WELL Building Standard and specific areas of focus that would be helpful through the exam process. I successfully passed my exam on the first attempt and credit much of my success to the GBES materials. Thank you!" "I would highly recommend obtaining exam preparation materials through GBES for anyone considering the WELL AP exam. The online practice tests were a fantastic resource for me, providing a bridge between the WELL Building Standard and specific areas of focus that would be helpful through the exam process. I successfully passed my exam on the first attempt and credit much of my success to the GBES materials. Thank you!" 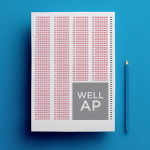 For even more study tools at a great value, try the WELL AP Platinum Pack – our best seller!